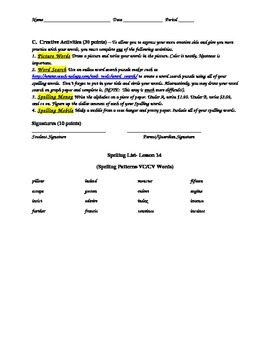 This is a spelling contract that can be used weekly to help students review their words. I pass it out on Fridays and they are due the following Friday on the day of our spelling tests. 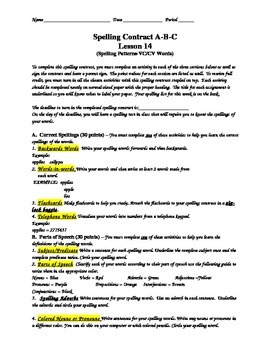 This an example list of words, but all you have to do is edit the bottom part where the list is each week with your new words. I have 3 different versions for different 9 weeks.